The Big News in Military Disability: Possible Changes Coming to the VA’s Agent Orange Policy? Possible Changes Coming to the VA’s Agent Orange Policy? A fleet of C-123s was used to deliver Agent Orange during the Vietnam War. After the war, some of those C-123s were used by the AF Reserves from 1972-1982 for training and other missions. Many of the reservists who worked on those planes during that time have since developed conditions commonly caused by Agent Orange exposure. However, the VA Presumptive List currently only provides service-connection for conditions caused by Agent Orange exposure to veterans who served in Vietnam or Korea. Because the reservists who flew in these C-123s did not serve in Vietnam or Korea, the VA has denied their claims. Because of the outcry in response to those claims being denied, the VA asked the Institute of Medicine (IOM) early last year to evaluate whether those C-123s could have retained enough Agent Orange residue to pose health risks to the reservists who worked on those planes. On January 9, 2015, the IOM published a report of their findings and submitted it to the VA. The IOM committee examined documents and information from many sources, including the VA, the DoD, and the C-123 Veterans’ Association. Unfortunately, the lack of available and pertinent information, demonstrating some rather poor recording-keeping on the part of the military, made it impossible for the committee to come to any definitive conclusions. 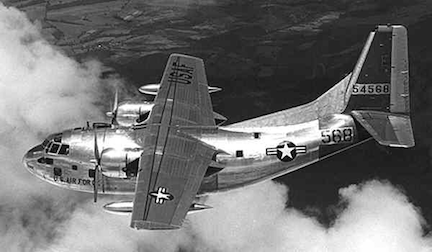 Despite their best efforts, the committee was not able to establish how many C-123s delivered Agent Orange in Vietnam, how many of those planes were used by the AF Reserves, and how many reservists worked on those contaminated planes. Early on, the military thought that, since any Agent Orange residue on those planes had dried and hardened, it was not a health risk. Because of this, the first testing of the planes did not happen until 1979 and then only a very small sampling was done. At that time, methods to determine toxin levels were not very effective. Another sampling was done in the 1990s, but the results of those tests were inconsistent with each other, again leaving the IOM committee with very little to go on. With very little valuable evidence from the critical time period, the committee decided that the best data they could find on contamination in those planes came from a testing that occurred in 2009. Although a great deal of time had passed since the planes had been contaminated, the modern technology used to test the contamination level was much more accurate than any of the earlier tests. Based solely on these test results from 2009, the committee states that it is confident that the AF reservists were definitely exposed to significant levels of dioxin through multiple avenues (skin contact, inhalation, or ingestion) while working on the C-123s and thus are at an increased risk of developing related conditions. After the report was published, the VA assembled a group of subject matter experts to review the report. Even thought the committee wasn’t able to state the extent of contamination, we are hoping that the report provides enough evidence to convince the VA to add the Reservists who worked on those planes to their VA Presumptive List, and thus provide them with the VADisability Benefits they deserve. We will keep you posted on the VA’s response as soon as it is available.